June is almost behind us now but I couldn’t let it disappear completely without paying homage to the rose – for June is all about elderflowers and roses! As anyone who has been following this blog for a while knows, I (like many others) am a sucker for roses. There is so much you can do with them at this time of year, for the kitchen, the bathroom or the medicine cabinet, and all will bring that gentle honeyed sweetness into your life, uplifting the spirit and gladdening the heart. 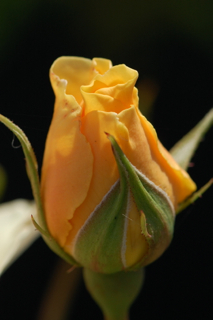 In this post I wanted to share some pictures of a few of the roses currently in bloom along with some ideas about how you might want to use them. 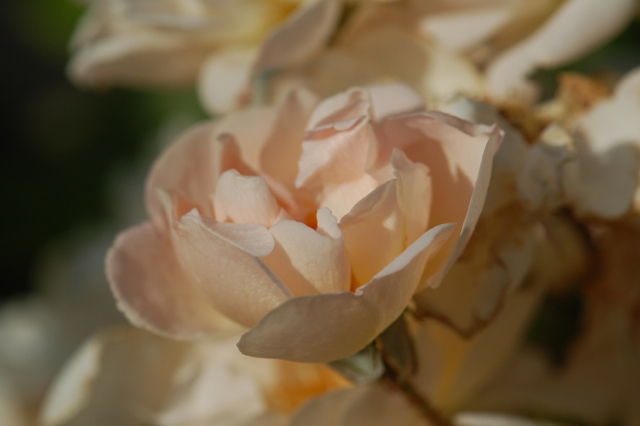 Old favourite Margaret Merril has the most perfect blooms and a deliciously delicate scent. Alex’s Red has suffered a bit with blackspot this year but the blooms are beautifully formed with a gorgeous deep burgundy hue. I have heard that you can treat blackspot with a spray made of a 50/50 mixture of milk and water but I haven’t tried it yet to confirm. Below is a new addition, Cariad, which I bought last year as a bare root almost purely for the name which means ‘love’ in Welsh. It actually looks quite different from the photo I saw but I like it anyway and it looks lovely with red campion and vervain planted infront. Scepter’d Isle is an even softer, warmer pink which is very relaxing to look upon. She can go a bit brown in heavy rains but now the weather is a clearer she is in finest of forms. Warm Welcome is a miniature climber that was bred by my uncle. Both he and my great grandfather were rose breeders so I guess some degree of obsession must be in the blood! Both have also written books on the subject. 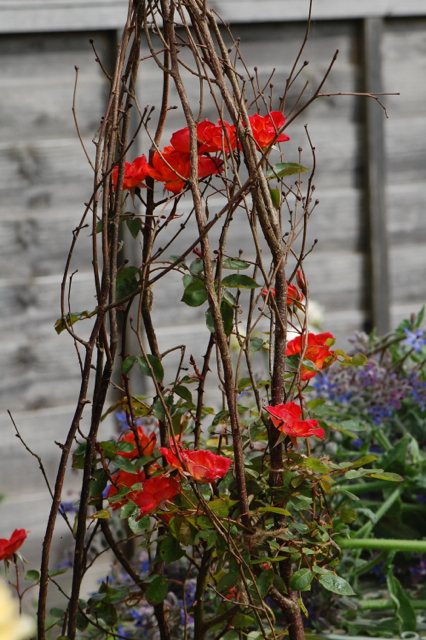 A tipi support of hazel twigs lends this rose a fairytale charm. Goldfinch is a lovely small rambler that I bought to grow over the unsightly oil tank situated by our garden gate. 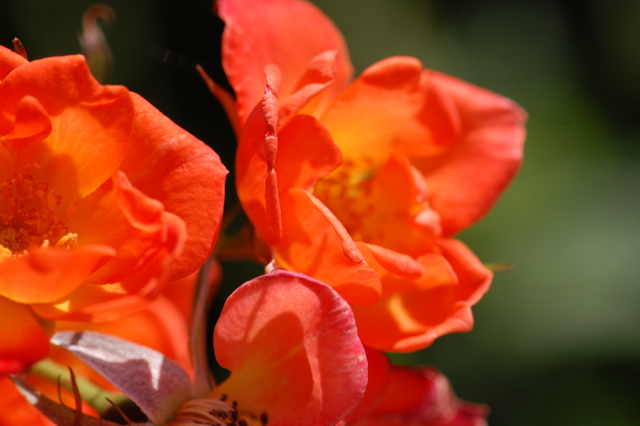 The flowers are a soft apricot hue that fades to cream as they age. The rose is the plant that is perhaps most closely associated with the heart and this summer I noticed an interesting connection between the two. 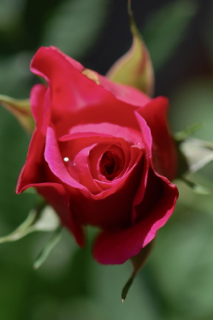 The petals of the rose open in a spiral looking not dissimilar to the heart muscle itself which recent research has proven is actually one muscular band that pumps and suctions blood by opening in a spiral. You can see a video of this here, be sure to watch right to the end when you see how the heart actually pumps, it is quite amazing to behold and something of a revolution in the study of anatomy. Comparing the two put me in mind of the the doctrine of signatures, the idea that something in a plants aspect gives us clues as to what it can be used for. 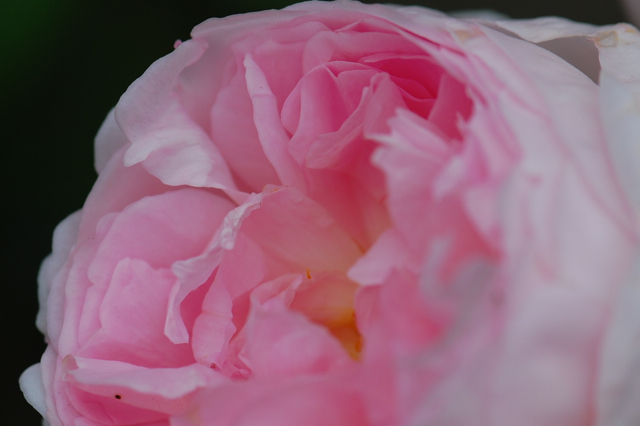 Along with the Apothecaries Rose and the local wild roses, Gertrude Jekyll is the rose I use most for medicine making. I wrote this post last year about using it in tinctures but it also makes the most fantastic infused vinegars, honeys and elixirs. It has a particularly high yield of essential oil so it imparts a beautifully sweet rose flavour to whatever menstruum it is infused in. 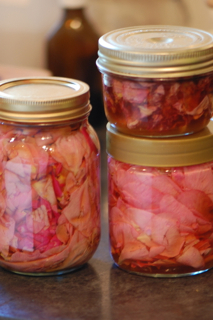 To make a rose infused vinegar or honey, all you need do is lightly pack a jar with any highly scented, unsprayed rose petals and cover with your liquid of choice. As the petals are so delicate they give up their flavour easily. 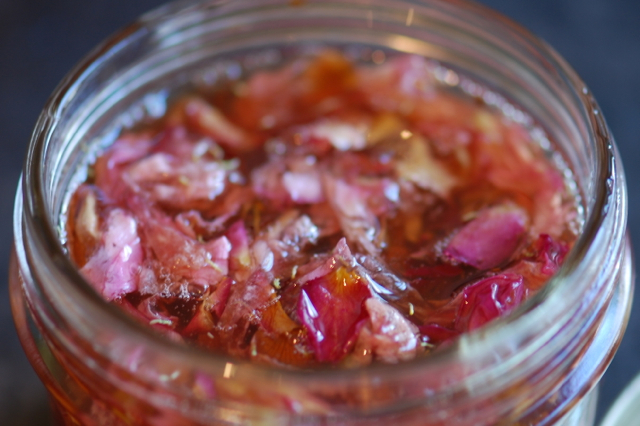 If you leave the petals in the honey it can be used almost immediately but if you prefer to strain it then let it infuse for a couple of weeks first. A week is enough time for the vinegar. Remember to cap your vinegars with a plastic rather than metal lid to avoid corrosion. 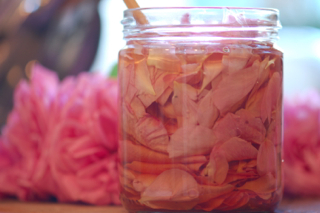 To make a rose elixir you follow the exact same process but fill the jar a third full of honey and two thirds of brandy or vodka to cover the petals. This is a nice mix of the deliciousness of a honey infusion with a stronger alcohol extraction which will result in a more potent medicinal effect. This can be strained after only a day or two as the volatile oils in the plant are easily extracted into the alcohol and the medicine will become more bitter and astringent as time progresses, something that may not be desirable if you want to maximise the flavour of the end product. 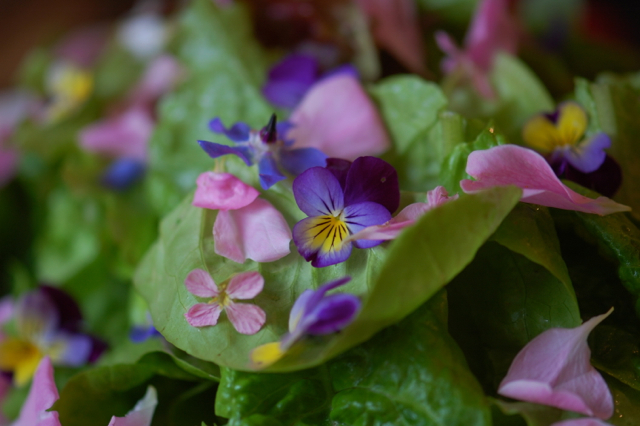 Rose petals are also delicious in a salad and look beautiful with other edible flowers. Danielle at The Teacup Chronicles recently posted a recipe for a strawberry and rose petal salad which looked delectable. 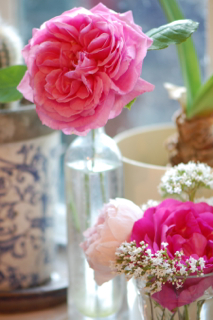 At this time there are so many roses in bloom that I can’t resist picking a few for the kitchen windowsill. Gazing at them and smelling their sweet scent on the air helps to make doing the washing up a far more pleasurable task! Yes you are so right, we even refer to the spiral of life don’t we, and now we know that our very heart is a spiral too. It is quite amazing isn’t it, it blew me away too when I first saw it. Here is a link to my uncle’s book on Amazon. And this is the one my great grandfather edited but I’m not sure if he wrote any of it. He was Herbert Ernest Molyneux (Great name no?!). Well, what can I say, an amazing post Lucinda. The ‘heart’ connection ………made the hairs stand up on the back of my neck. I love the history of your family, the roses connection. Of course it is in your blood. 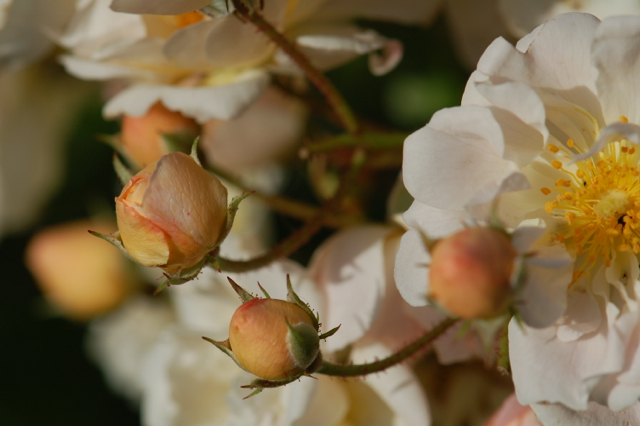 Yours roses are beautiful….I can almost smell them from here. It’s interesting when we look back through our family tree and see all the connections isn’t it. 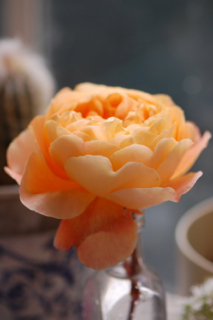 I popped to the garden centre today to get a new fork (I snapped mine in half last week on a bramble root) and I noticed a new rose called The Lark Ascending which looked so beautiful. I really don’t have any more room but I might have to get it for a container. As soon as I think enough is enough another comes along to tempt me!! I definitely need to plant more roses around here. Thanks for the great post! wonderful inspiration. 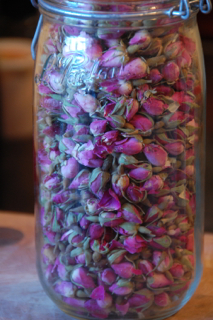 I am presently trying to make an infusion with roses and oil. being a beginner, I soon realized all roses do not have the wonderful aroma I was seeking, I like what I have so far, but am interestedd in the proper way to do this,so my next attempt will be even more scent concentrated. Thanks for all you effort and time to please all of us, whom you really don’t know, but care enough about to teach us the value of nature. Thank you so much Helena, what a lovely comment. It is a pleasure for me too to share about all the beauty I find in nature. You can always double or triple infuse your oil by putting more petals in after you have strained it to make the scent stronger. 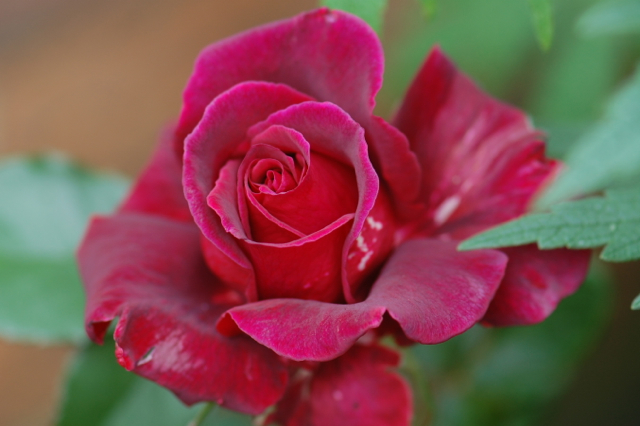 Thanks, I will do that, I have found one rose bush that has wonderful aroma, so as long they are so generous to let me take the newly opened rose, I will continure to add the petals. What is the use for the rose elixir Lucinda? How lovely, I’m sure you have passed the love of flowers onto others as well! 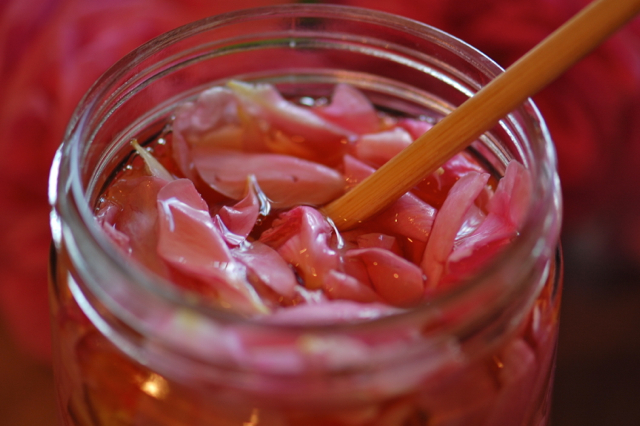 The rose elixir can be used in a number of ways but I mainly use it as a gentle nerve tonic and just because it tastes delicious. For medicinal purposes I tend to use the tincture most often, though elixir would work well too, but I just make it in small quantities for home rather than use in the clinic. 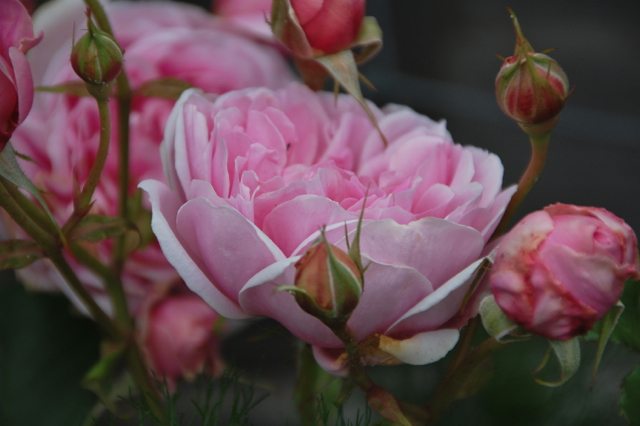 Rose as a medicine is a good reproductive tonic as well as being healing to the emotions and having a gentle clearing effect on the liver. Thank you Lucinda, I will try the recipe of the elixer as a gentle nerve tonic. That makes a lot of sense, the emotional release following the same pattern as the physical. It’s an incredible video isn’t it! Such a beautiful collection of roses! Heart-stopping. Yes you can happily use them, just try to get the ones with the best scent as some smell stronger than others. 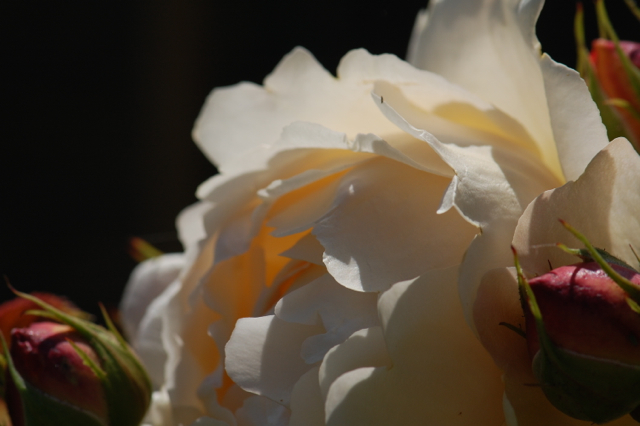 The aroma gives you an idea of how much volatile oil is in the petals so the smellier the rose, the more aromatic your honey/ vinegar/ tincture will be. 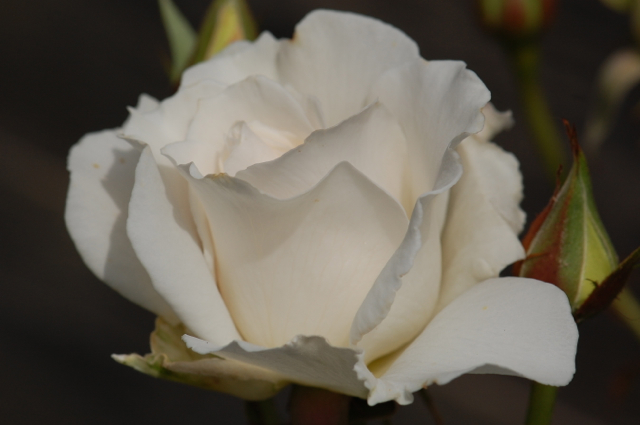 If you want to find out what your rose is you could email a couple of pictures of it in bloom to Peter Beales Roses they may be able to tell you what it is. I had a friend with a mystery rose and they helped her identify it! Thank you for all the advice, that’s really kind. I’ve just begun a herb course with Dilston Physic Garden, so am learning, but there’s SO MUCH and it’s all so fascinating. Thank you! Fabulous post Lucinda, and the pictures are exquisite! 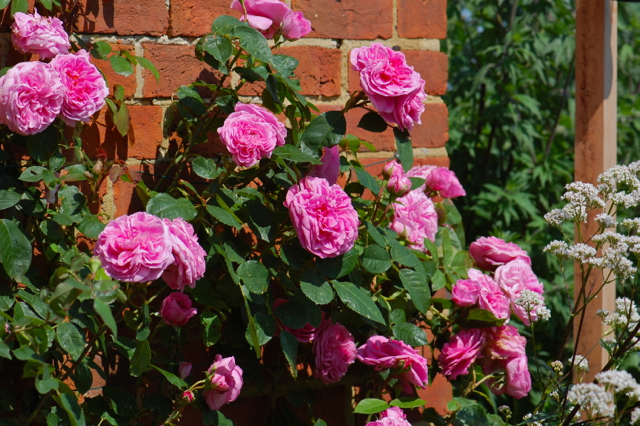 So interesting about your rose breeding heritage too – we are increasingly potty about roses, and Warm Welcome was one of four that we bought this year! Oh great, that’s nice to know, I hope you enjoy it as much as we do. Once you get into roses it’s hard not to get a bit obsessed isn’t it. 🙂 I’m glad you are still enjoying the oil too. Wow. I have to admit I completely neglect Roses both herbally and just as plants. Perhaps the ever present nature in stores (or bad associations with my family) leads me to not pay them the love I should. But i really should pay more attention to them, shouldn’t I?